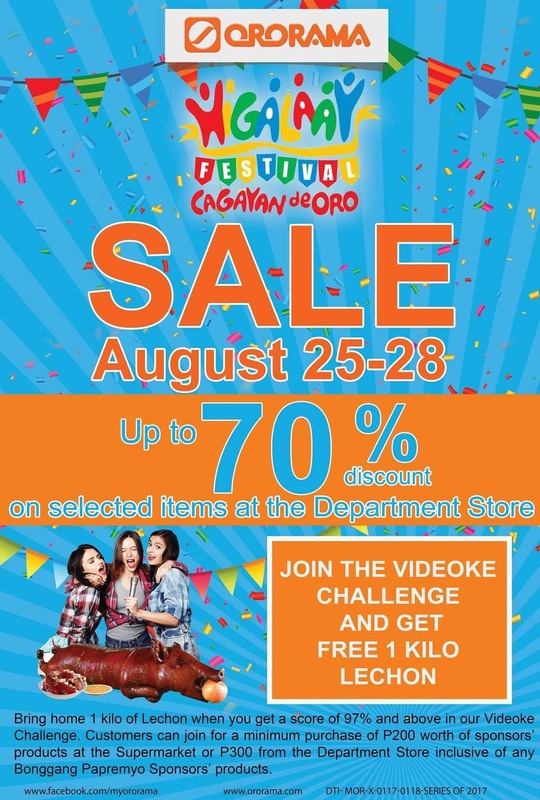 There gonna be a BIG SALE at ORORAMA on August 25-28where you can enjoy up to 70% discount on selected items at the Department Store. Aside from the sale you can also join the Videoke Challenge and get FREE 1 kilo Lechon plus Nestle Products. 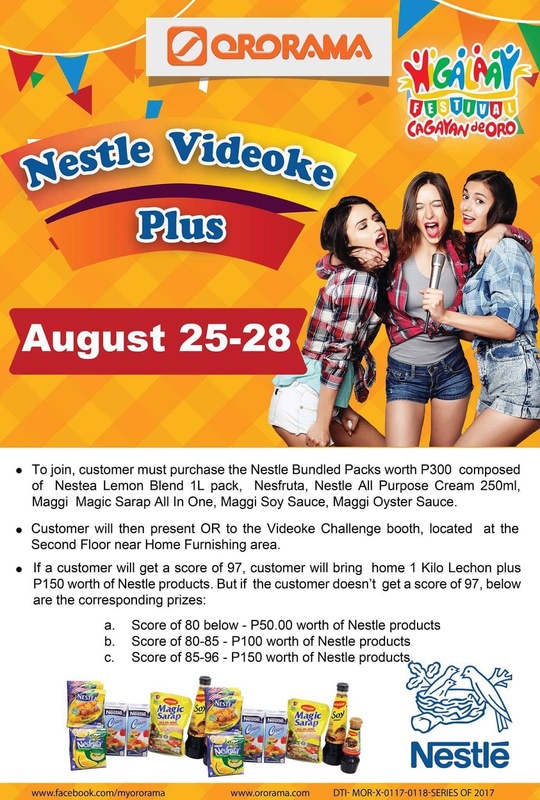 To join, customers must purchase the Nestle Bundled Packs worth P300 composed of Nestea Lemon Blend 1L pack, Nesfruta, Nestle All Purpose Cream 250ml, Maggi Magic Sarap All-in-One, Maggi Soy Sauce, Maggi Oyster Sauce. 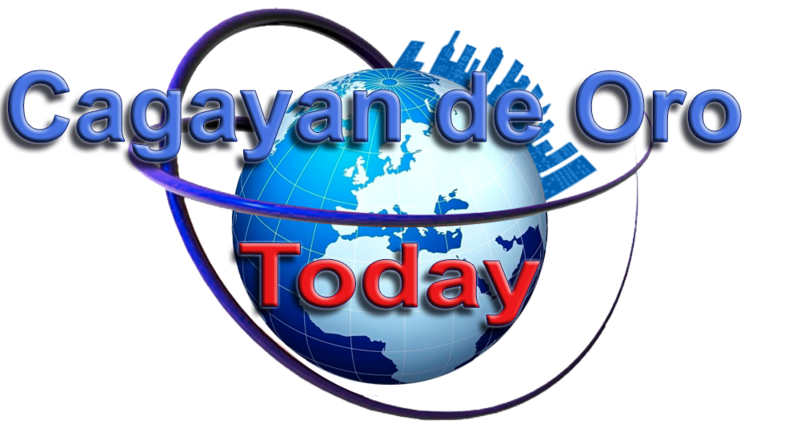 Customer will then present OR to the Videoke Challenge booth, located at the Second Floor near Home Furnishing area. So, what are we waiting for? Let us all shop at ORORAMA.